This Rain Gauge is part of a 3Dkanjers project to connect a 3D-printed object to a computer for educational purposes. Made in TinkerCad and printed on a Ultimaker Original. The Gauge is connected to the computer with a Makey Makey. The program to measure the rainfall is made in Scratch. 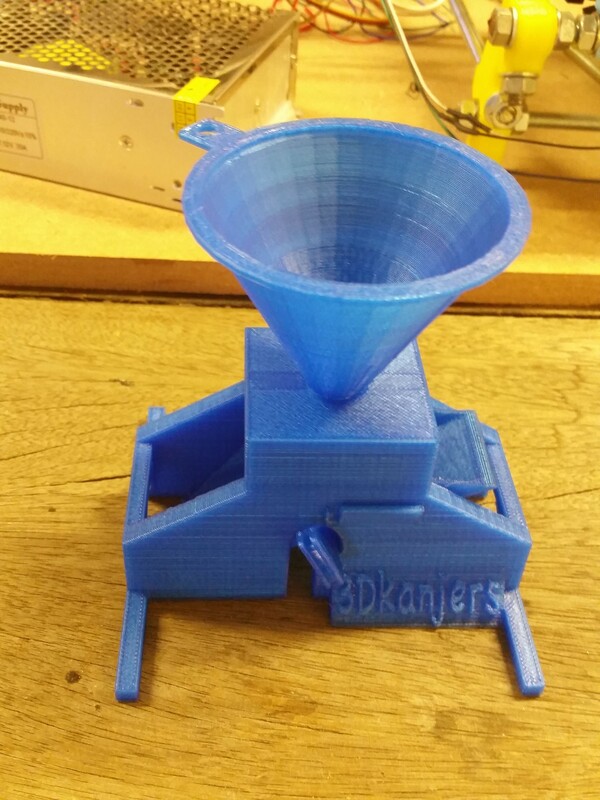 This Rain Gauge is part of a 3Dkanjers project to connect a 3D-printed object to a computer for educational purposes. Every time the bucket is tipping the program receives a signal (spacebar) and measure the rainfall. You can use the "Calibration" slider to adjust the measurements. We know that you can 3D design a better Rain Gauge and program a better project in Scratch. So we would like to challenge you! We looking forward to see what you come up with if you connect your 3D printed object to your computer.